How does betting on the Quina at Lottoland work? Instead of entering the official Quina draw in Brazil, you are betting on the outcome and the results of it can be found here. You pick five numbers (as you would with the official draw) and if you match two or more numbers you win a prize. Lottoland matches the official lottery operator prize tiers for our players. Simply select the number of lines you would like to buy and then select five numbers (from 1 to 80) on each of these lines, or use the Quick+1 option that will choose the numbers for you. Next select which draws you would like to bet on and, when you are happy with your selection, press ‘Place Bet’. You’ll then be taken to your cart where you can confirm your purchases. Match all five numbers you’ve selected with those on the official Quina draw. A single line bet costs £0.50. There’s a minimum prize guarantee of 500.000 BRL, which is approximately, £120,000 in every draw. A record R$143 million (approx. £34 million) jackpot was won on Quina’s Special Draw in late june 2016, although there is no official jackpot limit. The Brazilian Quina draw takes place every day from Monday to Saturday (except on bank holidays) at 23:00 (GMT). If your account has been verified, simply proceed to your account and withdraw your winnings. If your account has not been verified, you will first need to provide proof of your ID and proof of address. Once this has been confirmed you will be able to withdraw your winnings. Subscriptions remove the hassle of manually entering bets on each event and the fear of missing out on a big win. Our Subscription feature allows you to set up a running bet or bets on a given lottery draw. The subscription is open-ended and will run for as long as you want it too. You can opt out at any time. The Brazilian Quina is a regular lottery draw that offers good prizes and chances of winning. 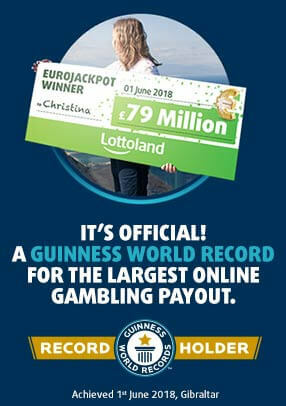 With Lottoland, you can bet on this game from your home – rather than taking a trip to Brazil to buy a ticket!